2 Comments on Grab Those Red Envelopes – On WeChat! WeChat is China's #1 social media app, and a great place to give gifts and maintain relationships. In this article, you'll learn the basics of gifting Red Envelopes on WeChat, and why it's such an important tool for foreigners living and working in China. As I have touched on before, Red Envelopes (红包; hóng bāo) are an important part of Chinese holiday traditions. Usually filled with a small amount of money, these envelopes are traditionally presented to young people during China’s Lunar New Year (also called the Spring Festival), and on other special occasions. In early 2016, I experienced gifting Red Envelopes in an entirely new way – through China’s booming social media app, WeChat. In the following article, I’m excited to share this digital way to celebrate holidays and special occasions in China. Now, even more Chinese bank cards can be linked to WeChat’s online payment function without a Chinese ID card (previously a big problem for foreigners, including myself). It’s now very easy for foreigners based in and visiting China to take part in this relatively new Chinese digital tradition. 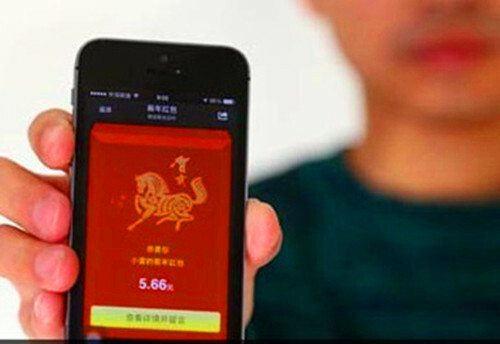 How it works: There are different ways to gift a Red Envelope on WeChat. First, you have the choice of sending an individual envelope or a group envelope. When sending an individual envelope, all you need to do is select a person and an amount of money. When sending a group envelope (to send to a group chat), you can select the number of recipients, the total amount of money, and how you want the money divided up between recipients (randomly or set amounts). When the number of recipients is less than the number of members in a group, members will have to tap, or qiǎng, quickly if they want to receive a cash prize. The Chinese concept of qiǎng (抢; to fight over, to grab, to rob): Qiǎng is an interesting concept in China. The character originally only meant to grab, rob or fight over something. But, in the commercial landscape of modern China, it has taken on a new meaning. When stores want to sell a limited number of products quickly (e.g., a promotion), everyone must move fast (both online and off) if they want to make a purchase. This is very similar to consumer shopping behavior during Black Friday in the USA (I can still remember sprinting through Walmart at the age of 13, a brand-new Nintendo 64 clutched to my chest). Qiǎng-ing however, is much more common, and quite popular, in China. I’ve found almost universally that Chinese friends and colleagues prefer a limited number of envelopes in group chats. After all, they will feel better if they win one of a limited number of prizes, and if they don’t grab one in time, they can always beg you (in China it’s often considered cute among friends) to send out some more. How it feels: Sending and receiving Red Envelopes on WeChat can be a very exciting and rewarding experience, as I can attest to from my own time with the app. On one hand, it’s like a fun game where you get to compete with friends to win small prizes. On the other hand, it’s a very nice tool for gifting in China, especially for maintaining relationships with current friends and coworkers. For myself especially, as someone who has always felt more comfortable giving rather than receiving, I always feel compelled to send just one more envelope, simply because I enjoy it. Start off small: First of all, unless you are familiar with the gifting habits of your friends or coworkers, it’s better to start small, especially as larger amounts could be embarrassing (for them) or misunderstood. Anything from 10-50 RMB (equivalent to 1.5-7.8 USD) is likely fine for a casual friend or coworker. When gifting to a group don’t give less than one RMB per person. It’s always easier to start small and work your way up based on what you see other people gifting. Consider hierarchy: Despite the often relaxed atmosphere of gifting Red Envelopes on WeChat, I think it’s always important to remember hierarchy, which is more often important in China than in other countries. For example, I have noticed that many people of a higher rank within a company are more willing to send bigger gifts, especially during special events (e.g. a New Year Banquet). On the other hand, rank and file employees are usually content to play around with smaller amounts. To use myself as an example, while I consider myself to be among the rank and file, I am still more senior than many Chinese members of my department. Therefore, I try to make a habit of gifting at least 50% more than my Chinese coworkers on a given occasion. I am also very wary of giving anything other than a small Red Envelope to a Chinese coworker clearly senior to me, especially if they are in a management position. Remember the lucky number 8: Numbers also play an important part of giving gifts in China. As the number “8” is considered auspicious in Chinese culture, it would be a good idea to gift amounts that contain the digit. These amounts could include 0.88, 8.88, 18,88, 28.88 and so on. Likewise, as the number “4” is unlucky in China (with a similar pronunciation to “death”), I would suggest avoiding the number when gifting on WeChat. While it is true that Chinese people do not always proactively choose lucky numbers when gifting money, I believe that doing so it not only appreciated, but actively conveys a knowledge and appreciation of Chinese culture, which the Chinese are always happy to see. Don’t be that one person who doesn’t gift: While no one should be pressured into participating in any practice they don’t agree or feel comfortable with, it’s important to remember that courtesy demands reciprocity. If you accept a Red Envelope (you can choose not to, and the gifter’s money will be refunded), it is only proper that you repay the courtesy. If a friend or coworker sends you an individual Red Envelope, you should probably send one back that day (if it is a specific holiday), or be sure to reciprocate on another occasion (if one is sent on your birthday, make sure to send the gifter a Red Envelope on their birthday). If you choose to take part in Chinese cultural traditions (and you DO have a choice), make sure to give as much as you get. Don’t forget to have fun: Last but not least, while I think it’s important to keep the above concepts and advice in the back of your mind when gifting Red Envelopes on WeChat, don’t be too serious! As I have discovered, it is generally a fun experience so long as you give it a chance and view it as a new way to experience Chinese culture and interact with your Chinese friends and coworkers. 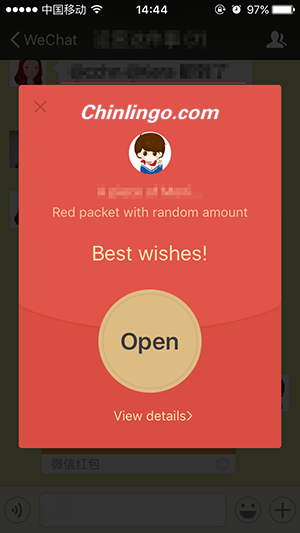 I hope you all have enjoyed this introduction to gifting Red Envelopes on WeChat. While the above article applies to most scenarios involving Red Envelopes on WeChat, I would be happy to hear from others about their own experiences. Also, as this is my first article dealing specifically with the tech sector in China, I would be happy to hear what readers think about possible future articles on tech in China. Therefore, if you are interested in seeing more China tech articles, or if you have a specific tech subject that you would like me to introduce or comment on, please feel free to leave a comment below or send me an email. Do you have any questions about gifting on Wechat or China’s gifting culture? Do you have any personal experiences you can share? Please feel free to post your thoughts in the comments section below. Glad you enjoyed the article. Hope you are able to try sending out your own Red Envelopes via WeChat during the upcoming Chinese holidays!